Your new MacBook is sleek and powerful, and this down-to-earth guide makes it easier than ever to navigate, personalize, and maximize what it can help you accomplish. 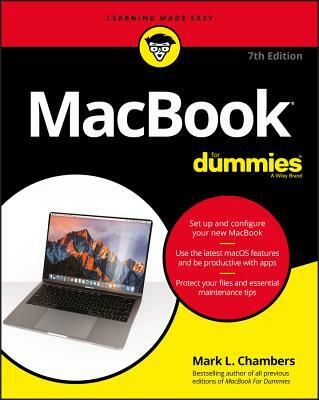 From taking it out of the box and turning it on for the first time to file storage and security, to downloading apps and working with iCloud, MacBook For Dummies helps you discover--all in one place--everything your laptop can do. Ultra-light, ultra-fast, and ultra-powerful, the MacBook is the coolest laptop around, and longtime Mac guru Mark L. Chambers is just the guy you want showing you the ropes. Inside, he shows you how to navigate the Mac desktop, customize your settings, surf the web and set up email, hook into a network, transfer your important documents from another PC or Mac, and troubleshoot with ease. You'll also get the inside scoop on the fun stuff like FaceTime video calling, Messages, Reminders, photos, videos, music, the Mac App Store, and more.